Although the passage is short, you may divide it up, as each section is different and you may meditate on it separately. The key to to understanding verse 33 is to take “the time” as the time of grace, the time when a longed for event finally comes to pass: Jesus is reminding us that if we are not awake we let those moments pass us by. Verses 34 and 35 are a parable, although the emphasis changes is verse 35 so that even these two verses should be meditated on separately. In verse 34 the vocation of the doorkeeper is the focus, so enter into it. In verse 35 the delay in coming is the main point. In verse 37 identify with Jesus, consciously making a distinction between “you” and “all”. – the project to which we had given ourselves wholeheartedly collapsed. Then, quite unexpectedly, something happened and all was well again. because we never know when the time will come. 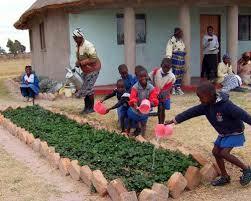 – money that is sorely needed for food and drink spent on arms. It is enough to make anyone despair. You tell us today that this is not your will for the world at all. so that everyone becomes slack and undisciplined. and you will be returning soon to live with us. they were awake and welcomed us back. just because evening and midnight have passed. all because we are not on our guard and have gone to sleep. – those who are working for solidarity between rich and poor nations. Evening, midnight, cockcrow, dawn have all come and gone. Lord, there are many in our country who have lost hope. that we must not despair but must stay awake. Today we begin Advent. This is the period when we prepare to celebrate the coming of the Christ among us two millennia ago, but we also believe that he is coming among us now and so we have to be prepared to receive him, and we know that he will come again at the end of time and we have to prepare the world for his coming. Everything we do as Christians is related to these three comings. So let us reflect on how it is because he first came that we are here at the Eucharist today; gathered now we ask pardon of our sins that we might be prepared for his second coming in this Eucharist; and as a community let us pray that we will be ready to stand before him when he comes again in Glory. 1. On this first Sunday of Advent the church’s thoughts are concentrated not on the coming of the Lord in Palestine two millennia ago, nor upon the new liturgical year, but on the Second Coming at ‘the end of time’, the Last Days, the Parousia, the Eschaton, ‘The End’. This is not a popular topic for preaching. Indeed when most preachers, excluding those from the fundamentalist fringes, are asked about the topic they say that it is one best left alone. However, while preachers are silent, that does not mean that this topic is not communicated in popular programmes, urban folklore, and ill-informed comment in the media. Most people think they are more than familiar with the Christian view of the end-times: it’s the apocalyptic nightmare when God is going to come as fearful destroyer, give everyone their come-uppance, and it will be a combination of a horror film and a cataclysm. Such thoughts about ‘The End’ are seen to show that in the final analysis God is a mean brute exacting vengeance; and religion is just a scare story of a wicked father punishing misdeeds. This may seem a caricature, but it is widely held and one that many Christians are happy to adhere to as when there are calls for getting back to the real days of preaching when people were told what’s what. Moreover, a glance at Christian religious TV from the USA will show you that there are more than enough communicators of the ‘God as brute vengeance’ message in the world today. 2. Given this fact of so much misinformation in the public imagination about The End, this opportunity to say something that is not sensationalist and does express the church’s faith on the eschaton should not be passed over. 3. The place to begin is to acknowledge that there are two distinct views, schools of thought, about The End within the Christian tradition and that these views go back to the time of the earliest followers of Jesus. On the one hand there is the familiar view that God will come as avenging justice and repay the wicked with suffering: The End as the Great Crunch. A careful reading of the evidence in the gospels makes it almost certain that this was the vision of The End that was preached by John the Baptist: ‘His winnowing fork is in his hand, and he will clear his threshing floor and will gather his wheat into the granary; but the chaff he will burn with unquenchable fire’ (Mt 3:12). 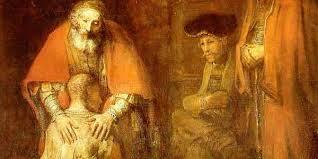 One of the matters where Jesus’s teaching is very different from that of John the Baptist is on precisely this point: The End that Jesus announces as coming is one where suffering humanity is delivered through the Father’s love. For Jesus, The End is the Great Banquet. He preached a future in terms of banquet, harvest, rest, and fullness. The stark choice between the message of Jesus and that of the prophet John is the choice between the Great Banquet and the Great Crunch. However, in so far as many of John’s followers became followers of Jesus, they seem to have retained the Baptist’s vision of the future; or they seem to have perceived Jesus’s message as a refinement of John’s, rather than its replacement. 4. Down the centuries these two visions of The End have exercised varying amounts of influence in preaching. Some parts of the church have read, indeed devoured, the Great Crunch approach which has its clearest expression in the Book of the Apocalypse. Other parts of the church have been so appalled by it — the Greek churches on the whole — that while they have kept it in the canon, they have refused to read it in the liturgy. Other parts of the church have preached the Great Crunch, but then used the Great Banquet language of Jesus as the key to imagery about the life of the world to come. 5. The basic message of Jesus about the coming of the Lord is that of being brought into the Banquet of life: God is love, healer, restorer, mercy. If this is our faith, then this must form our vision of the Second Coming. Just as the First Coming was not the mighty warrior king that many hoped for, but love made flesh in Jesus Christ who reconciled the world to the Father, so the Second Coming is the mercy of God in Jesus Christ who reconciles us to the Father and bids us to takes our places in the Great Banquet. Hence our presence today at the Eucharist: this is the foretaste of that banquet. Christ’s coming now in our gathering is the anticipation of his final coming. 6. To reflect on how we view the Second Coming is the challenge to purify our mind’s images of the future, of the message of the Christ, and our image of God. It is to replace the image of the Great Crunch with the Great Banquet; to replace the image of vengeance with that of mercy; to replace the image of God is power with that of God is love. 7. For Christians, the future is good news! It is widely thought that Mark’s was the first gospel to be written and that it was composed in Rome just after Nero’s extremely violent persecution of the Christians of that city. One of the themes in Mark is that Jesus is a crucified Messiah and that being faithful to him will involve suffering for your beliefs. This means that they must always be vigilant and that is the theme of today’s gospel. It is taken from chapter 13 which is a link between the end of Jesus’ public ministry and the beginning of the passion and it stresses the importance of believers not becoming lethargic or casual. 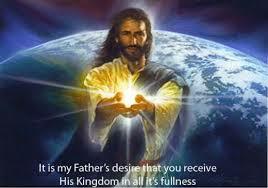 The fact is we live in a changing world and new demands will be made on us as followers of Christ. For Mark’s first readers that meant being persecuted by the most powerful government in the world. For us, at this time of year, the threat to our faith may be from a more subtle yet no less destructive enemy of the gospel — rampant consumerism. When the prophet prayed that God might ‘tear open the heavens and come down’ he was probably thinking in terms of what had happened on Mt Sinai many years before when the Israelites experienced God in the awesome splendour of nature (Ex. 19). It would have been unimaginable for the prophet that God should indeed immerse himself totally in our world and yet in the fullness of time that is precisely what did happen. While Isaiah prayed that the mountains would melt like wax at the presence of God, it seems God was more interested in melting our hearts. It is as though the Potter became the clay. During Advent we are invited to think about our human weakness, not so as to become sad or depressed but so that we can be filled with wonder at the way in which God chooses to save us. We are carers of creation and of his people. Take this seriously, it is our world. God has made himself so vulnerable and this gospel reading is just before the passion. An area or parish improves if enough people do something. We look at areas in a locality which are now clean of drugs, more prosperous and just. This has been the work of people co-creating the world with God. Making it a better place. Doing the world a world of good. The beginning of the Christian year begins at the end of time: the promised return of Christ at the end of time. In this brief Gospel parable of the master’s return, Jesus articulates the Advent themes of waiting, watchfulness and readiness. Jesus calls us to realize our responsibilities in the present as we dare to look forward to the promise of the future. Advent urges us to “stay awake” and not sleep through the opportunities life gives us to discover God in our midst; Advent challenges us to “watch” for the signs of God’s unmistakable presence in our lives. Thee coming of Christ and his presence among us – as one of us – give us reason to live in hope: that light will shatter the darkness, that we can be liberated from our fears and prejudices, that we are never alone or abandoned by our merciful Father in heaven. Advent confronts us with the preciousness and limits of time: that our lives are an Advent, a prelude, to the life of God to come. While confronting us with the reality that our lives and finite and fragile, these Sundays of Advent also assure us of the mercy of God, who is with us amid all the struggles and challenges of our everyday Advent journey to the dwelling place of God. The waiting room of a hospital’s intensive care is unlike any place in the world. And the people who wait there are bound together like no others anywhere. Family members and friends can’t do enough for each other. No one is proud, no one stands on ceremony or protocol. Petty disputes and hurts are no where to be found. The distinctions of race and class melt away. A person is a father or spouse first; white, black, Asian second. The garbage man loves his wife as much as the university professor loves his – and everyone understands. Each person pulls for everyone else. A family’s good news gives joy and hope to everyone; the sadness and grief of a family’s loss is felt by everyone. In the intensive care waiting room, the world changes. Vanity and pretense vanish. The universe is focused on the doctor’s next report. In the intensive care waiting room, we can’t help but face the fact that life is fragile and limited. In waiting word of some improvement in our loved one’s condition, every moment of life becomes a gift. The intensive care waiting room is a place of hoping. It is a place of anticipating, of expecting. It is a place of Advent. Life is a waiting room, a place confronting us with both the preciousness and precariousness of the time we are given and the inevitable, though still always difficult, changes that we must contend with in the course of that time. Our lives are an Advent, a time of anticipating, expecting, hoping. Being an ‘Advent” people is to understand the importance of now -- that now is the time to love our spouses and children, that now is the time for hugs and I-love-you’s, that now is the time to make the kind of memories that will live on well after we have left this world for the next. 1) An Advent project of being alert and watchful in the spirit of today’s gospel. Every morning when we get up, let us pray, “Lord, show me someone today with whom I may share your love, mercy and forgiveness.” Mother Teresa of Calcutta once said, "Whatever you do in your family, for your children, for your husband, for your wife, you do for Jesus." Every night when we go to bed, let us ask ourselves, “Where have I found Christ today?” The answer will be God’s Advent gift to us that day. By being alert and watchful we will receive an extra gift: Christ himself. Let us remember the saying of St. Thomas Aquinas: "Without God, I can't. Without me, He won't." 2) Being wakeful and watchful: We are so future-oriented that we often forget the present entirely. We spend too much time trying to protect ourselves against future misfortunes. We save for a rainy day, to get married, to buy a home, to send the children to college, to retire in comfort and to protect ourselves against future misfortunes. But we need to be more spiritually wakeful and prepare for our eternal life because we can die any day, and that is the end of the world for us. Let this advent season be the time of such a preparation for us. 3: “Maranatha” (Rev. 22: 20) is an Aramaic (Syriac) expression that means: “Come, Lord Jesus.” It was used as a greeting in the early church. When believers gathered or parted, they didn’t say hello or goodbye, but “Maranatha!” If we had the same spiritual outlook today, it would revolutionize the church and the lives of its members during this advent season. Today’s first reading from Isaiah gives us a glimpse of the difficulty people face when their waiting for God seems to be in vain. The exiled people had returned from their captivity in Babylon to Jerusalem, spurred on by hope, but they see Jerusalem in ruins. In their desperation all they can do is remember what God had actually done for them and hold on to him. When the people remember God as their Redeemer, they bring the past into the present and that sacred memory acts like a light in the midst of darkness. The memory of God’s love, gives them a reason to wait; to hold onto their hope. What the people of Israel remember is that God will live up to his ancient name- the Faithful One, and will come as their rescuer and redeemer. Because they hope they are ready to wait and their waiting is not a passive waiting in vain. One December day 16-year-old Gary Schneider and two friends set out on a four-day climb up Mt. Hood. Nine thousand feet up, a blinding storm engulfed the three boys. They tunneled into a snow bank to get out of the driving wind and to wait out the blizzard. Eleven days later the blizzard continued to rage. The boys’ sleeping bags grew wet and lumpy. Their food supply dwindled to a daily ration of two spoonfuls of pancake batter apiece. Their sole comfort was a small Bible one of the boys had packed in his gear. The boys took turns reading it, eight hours a day. The only light was a spooky, reflected light coming from the cave’s tiny opening. There the three boys remained huddled hour after hour, day after day, listening to the word of God against a background of howling wind. Waiting like this was not easy. All the boys could do was pray, hoping the blizzard would blow itself out and help would come. Finally, on the 16th day the weather cleared and the boys crawled out of their snow cave. They were weak from the ordeal and could manage only a few steps at a time. Later that day they caught sight of a rescue party. Their long ordeal of waiting finally ended. The gospel today has a short parable about the householder who has servants to whom he assigns particular tasks before he sets off on a journey. He singles out the doorkeeper with a special warning. “Be on your guard then, because you do not know when the master of the house is coming. What I say to you, then, I say to all: Watch!” If we were to focus our gaze on the door keeper alone we would realize that perhaps the greatest danger facing him is not so much that he may fall asleep on the job as that he may grow so accustomed to it that it will become just a job and nothing more. We know that gate-keeping can become boring and routine can set take over in the best of circumstances. We can get used to anything, we can get used to the sacred as well, we can get used to God, and then smugness, skepticism creeps into our lives. We can become Christians by habit and routine and we can keep up the external ritual and routine but we don’t encounter God anymore but only our own emptiness. We know Jesus is constantly coming into our lives. Each of us is the doorkeeper, whom God has put in charge of our own lives as well the lives of our community, our church, our society. Advent calls us to stand ready. We stay alert by living the values of the Redeemer in our own time. We can only welcome Jesus into our life if we are alert and attentive to Him. “The spiritual life is first of all a matter of being awake” said Thomas Merton. “Kaka, you’re the only man in the world who’s paid for sleeping!” remarked Joe Dias to the doorkeeper of Premal Jyoti, our Jesuit HQ in Ahmedabad. Early 1980s, when things were missing from the open corridors and gardens of Premal Jyoti, we suspected that it was the work of the Vaghris, a nomadic tribe that lived in the slums nearby. It was Dahyabhai, our parlour attendant, a Vaghri himself, who advised us to keep a Vaghri to keep watch and terminate the thieving. It worked. We employed a Vaghri leader nicknamed Kaka, who ordered his people to stop stealing from Premal Jyoti or else he’d lose his job. Thereafter Kaka has slept at the doors of Premal Jyoti, and, is paid for it! Not all doorkeepers are as lucky as Kaka. In fact, the doorkeeper described in Mark’s gospel must keep watch ‘evening, midnight, cockcrow, dawn’! 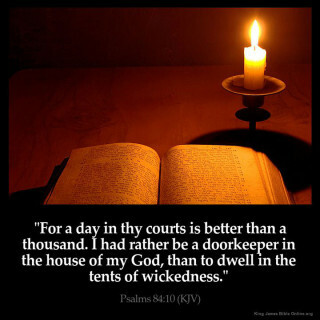 Doorkeeper, are you awake? 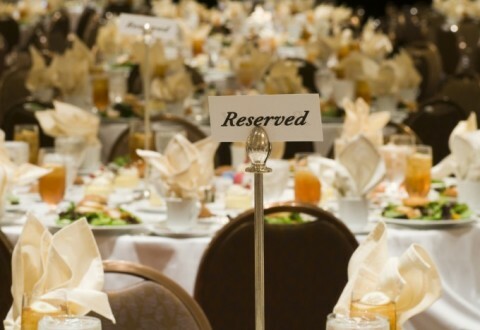 Will you open the door so that He will dine with you this Christmas? One of the wisest, noblest and gentlest men who ever lived was Socrates. He lived in Athens in the fifth century B.C. He was unjustly put to death by the Athenian judges. When Socrates was in the prison waiting for his death, his friend Crito came to visit him. Crito tried to persuade Socrates to escape from the prison. He said, “Socrates, I have enough silver to bribe the prison guards to help you to escape from here.” But Socrates declined it. Then Crito asked him to delay the drinking of the poison. He said, “Socrates, I know other people drink it late. They dine and get drunk and keep company with those they happen to desire. So don’t hurry.” Even this suggestion Socrates declined. He said to Crito, “You know Crito; I wouldn’t do what others have done. I don’t gain anything by clinging on to life a little longer.” Socrates called the jail attendant who came with the cup filled with hemlock poison. Then Socrates asked him, “Sir, you have knowledge of this. What is necessary to do.” The attendant said, “Nothing except drink it and walk around until your legs become heavy, and then lie down and thus it will do it for itself.” Socrates took the cup, raised it and said a prayer and emptied its contents. For some time he walked around; when his legs became heavy, he lay down and pulled a blanket over his head and closed his eyes in death. - As in life, so in death Socrates was a virtuous man. He wanted to be always at-right with justice and with God. He was a man who was perpetually watchful about his righteousness; he was a man who was perpetually prepared to meet his God. Do you remember the movie ‘Awakening’? Robert De Niro plays the part of a patient who, for thirty years, does not move or speak. A particularly, sensitive and enterprising doctor tries out some new theories and lo and behold, the patient begins to move around, talk and feel. For a brief period he returns to this world and announces to those amazed folks around him that he is back: “I have been away for quite some time.... now I am back.” He becomes gradually aware of the love and concern that surrounds him and what is really alive inside of his heart and soul. –It is never too late to wake up. Morning is when you wake up. Advent is a nice time to wake up. Wake up to give an account of your stewardship. Wake up into a time for giving and sharing, a time that we are called to be thankful and prepare our hearts for the Christ child. Wake up and open your eyes in faith to see God present and active in your life and in your world. In A.D. 204, Hippolytus, a Christian writer in Rome, recorded that a bishop was convinced that the Lord was going to return immediately. He urged his followers to sell all of their land and possessions and to follow him into the wilderness to await the Lord’s coming. At the end of the first millennium, anticipation of the Second Coming ran high. On the last day of 999, the basilica of St. Peter’s at Rome was filled with people who were weeping and trembling as they expected the world to end. It was in 1978 that the media flashed the shocking news of the mass suicide of 914 men and women from the U.S.A., belonging to a doomsday cult called The Peoples Temple, in Jonestown, Guyana at the instruction of their paranoid leader Rev. Warren (Jim) Jones. In 1988, Rev. Colin Deal published a book titled Christ Returns by 1988 – 101 Reasons Why. In the same year, Edgar Whisenant, a NASA engineer used his mathematical skills to set a date for the return of Jesus. He wrote a book called, 88 Reasons Why the Rapture Will Take Place in 1988. Another very popular book, published in 1989, was 89 Reasons Why the World will End in 1989. The Jehovah’s Witnesses have frightened gullible followers at least three times during the last century with their “end of the world” predictions. The film Omega Code, released in October 1999, was an independent movie funded by the Trinity Broadcasting Network, the largest Evangelical Christian TV network in theU.S., and promoted by a team of 2,400 U.S. Evangelical pastors. The plot involved the portrayal of the “rapture,” when “born again” and "saved" Christians, both alive and dead, will, it is claimed, fly upwards in the air to meet Jesus on his Second Coming. It was rated in the top 10 highest-grossing movies for October 1999. It was in March 1997, that 39 members (21 women and 18 men, ranging in age from 26 to 72),of a California cult called Heaven’s Gate, headed by Marshall Applewhite, exploded onto the national scene with their mass suicide in a luxurious mansion at Rancho Santa Fe near San Diego in California. This was their preparation for being safely transported to heaven by a UFO, thus avoiding the tribulations accompanying the immediate end of the world. It was in 1995 that the landmark apocalyptic thriller, Left Behind (a series of 12 novels by Tim LaHaye and Jerry Jenkins -- Left Behind, Tribulation Force, Nicolae, Soul Harvest, Apollyon, Assassins, The Indwelling, The Mark, Desecration, The Remnant, Armageddon, and Glorious Appearing) began hitting Christian bookstores. Since then, the Left Behind series and its related books have sold over 62 million copies, generating 650 million dollars in sales. Three more books in the series are expected. In October, 2005, a big budget film, Left Behind, based on this novel series, was released for showing in all Evangelical Christian parishes. This is how modern man reacts to the coming end of the world. Today’s readings remind us that along with our special spiritual preparation for Christmas, we should be prepared and ready to meet Jesus at all times, whether at the end of our lives or the end of the world, whichever comes first. Years ago, when 20th Century Fox advertised in the New York papers to fill a vacancy in its sales force, one applicant replied: "I am at present selling furniture at the address below. You may judge my ability as a salesman if you will stop in to see me at anytime, pretending that you are interested in buying furniture. When you come in, you can identify me by my red hair. And I should have no way of identifying you. Such salesmanship as I exhibit during your visit, therefore, will be no more than my usual workday approach and not a special effort to impress a prospective employer." From among more than 1500 applicants, this guy got the job. Jesus wants us to be ready like that man. We don’t know when He’s coming back, so we should be prepared all the time. "Ready or not -- here I come!" When you were a child, did you play the game, Hide and Seek? If you did, you will remember that the person who was "it" closed his eyes while the rest went to hide. To give them time to hide, the child started counting: 5, 10, 15, 20 and up to 100. Then he would say, "Ready or not, here I come!" The point of the game was to hide oneself so well that the leader could not find you, for if he found you, and beat you back to the goal, you had to be "it" the next go-around. The secret of the game was preparing oneself against being found and caught. With excitement we heard the words, "Ready or not -- here I come!" In today's gospel lesson Jesus is saying to the world, "Ready or not -- here I come." In chapter 13 of Mark, Jesus tells us that he will be returning to the earth "with great power and glory." As in the game, only this is not a game, there is a counting and an accounting going on right now. It is a countdown before the blast of his appearance on earth a second time to judge the world and to gather his faithful to himself. Some years ago a tourist visited the Castle Villa Asconti on the shores of Lake Como in northern Italy. Only the old gardener opened the gates, and the visitor stepped into the garden, which was perfectly kept. The visitor asked when the owner was last there. He was told, "Twelve years ago." Did he ever write? No. Where did he get instructions? From his agent in Milan. Does the master ever come? No. "But, you keep the grounds as though your master were coming back tomorrow." The old gardener quickly replied, "Today, sir, today." A Christian watches and works as though the Master would return this very day. "Give God a chance to help; wait three days." It was the day after Easter. The pastor paused for a moment at the top of the steps leading from his church to the avenue, now crowded with people rushing to their jobs. Sitting in her usual place inside a small archway was the old flower lady. At her feet corsages and boutonnieres were spread out on a newspaper. The flower lady was smiling, her wrinkled face alive with joy. The pastor started down the stairs, then on an impulse turned and picked out a flower. As he put it in his lapel, he said, "You look happy this morning." "Why not? Everything is good." she answered. She was dressed so shabbily and seemed so very old that her reply startled him. "No troubles?" he responded. "You can't reach my age and not have troubles," she replied. "Only it's like Jesus and Good Friday." She paused for a moment. "Yes?" prompted the pastor. 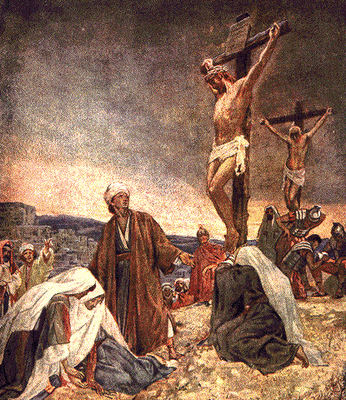 "Well, when Jesus was crucified on Good Friday, that was the worst day for the whole world. And when I get troubles, I remember that. 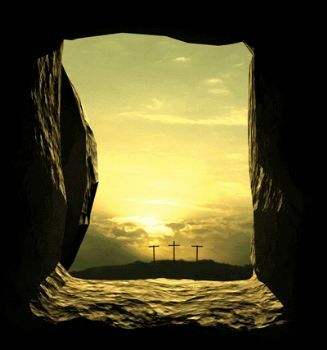 And then I think what happened only three days later: Easter and our Lord arising. So when I get troubles, I've learned to wait three days and somehow everything gets all right again." And she smiled goodbye. The old flower lady's advice would help many of us: "Give God a chance to help; wait three days." (Patt Barnes in Guideposts) "Wait on the Lord," wrote the psalmist, "be of good courage, and He shall strengthen thine heart...."(27:14). The word wait appears 106 times in the Scriptures. Sometimes there is nothing else we can do. Like the early church, we can only wait, watch, and work. It always feels strange beginning Advent in November. But the stores are already decorated for Christmas, so why not? I hope the department stores won’t think we’re trying to spoil their party by injecting a little religion into this busy season of the year. It reminds me of an item that appeared in USA Today last year about this time. Authorities in Bal Harbor, FL outfitted the baby Jesus in their outdoor Nativity Scene with a GPS locator as a protection against thieves. The previous Baby Jesus was stolen even though it had been bolted down. “I don’t anticipate this will ever happen again,” said Dina Cellini, who oversees the display, “but we may need to rely on technology to save our Savior. The Mary and Joseph statues will also be outfitted with GPS.” (1.12 24 07, p. 3A. Contributed by Dr. John Bardsley) Interesting! Somebody stole the baby Jesus. I’m not surprised. They’ve already stolen Christmas. I’m exaggerating, of course. Still, I’m thankful you are here today as we seek to reflect on the meaning of Christ’s coming into the world. "Gee, I guess I just wasn't ready." There's an amusing commercial on television in which a man is about to let go of his bowling ball as he eyes the pins at the end of the lane. Just as he is ready to release the ball, he gets lifted out of himself by two men in sparkling white suits and goes walking off across the lanes, through the walls of the building and onto a staircase surrounded by clouds. At first he doesn't understand what in the world is going on but then it suddenly dawns on him. He has just died. He looks at the two white-suited men at his side and asks in disbelief, "Are you sure it was supposed to be me? I was working on a string of strikes!" Convinced there was no mistake, he goes off reluctantly and shrugs, "Gee, I guess I just wasn't ready." The point of the commercial is that one has to be ready all the time and for the sponsor that means having insurance, a "piece-of-the-rock." That's the way to be ready. The World Future Society released their forecasts for the next 25 years a few months ago and some of those forecasts were upbeat. For example these futurists predict that by the year 2025 the world will have a billion millionaires. That’s a lot of wealthy people. I hope you’re one of them. They also forecast a new process to remove salt from seawater and make it drinkable at a much lower cost than thought possible. They predict drastic improvements in artificial intelligence, genetic engineering, nanotechnology and robotics. These advances will improve every aspect of our lives. But they also report that the threat of another cold war with China, Russia, or both could replace terrorism as the chief foreign-policy concern of the United States. Scenarios for what a war with China or Russia would look like make the clashes and wars in which the United States is now involved seem insignificant. Also of deep concern is climate change with the disappearance of much of our bio-diversity, widespread flooding and water replacing oil as the most precious commodity on earth. (futuristupdate@wfs.org )How much of this will occur? No one knows. But here’s what we do know. The God who sent a tiny babe 2,000 years ago to redeem our world is the same God who holds the future. (http://www.tellicochurch.org/Year%20B%20Sermons/ 021224.html.) ) That’s a lovely story, and we are so thankful that Misha was introduced to Jesus. But do you understand that two thousand years after the coming of Christ, millions of children come from situations like Misha’s? They are still awaiting a Savior. You’ll find them in the former Soviet Union. You’ll find them in Afghanistan. You’ll find them in Africa. You’ll find them in the gang-ridden neighborhoods of our inner cities. You’ll find them right here in our own community. Of course, it is our responsibility to reach out to these little ones, to show them the love of Jesus, but the truth of the matter is that, for the most part, they are forgotten this Advent season. http://bloomingcactus.typepad.com/bloomingcactus/2005/11/mark_132437_kee.html. ) But surely none of these is the anti-Christ. The parts of the Bible that foretell the end of time, the apocalyptic literature as it is called by scholars is written in a kind of code and is open to much interpretation. And, obviously, it is all pre-space age imagery. Leo Rosten tells an amusing story that comes out of the Jewish tradition. There was a man in a small Russian village who, because of a disabling condition, could not find employment. The community council wanted to help him but they also wanted to protect his pride. They decided to give him a job. They paid him two rubles a week to sit at the town’s entrance and be the first to greet the Messiah when he arrives. “Just sit on the hill outside our village every day from dawn to sunset,” they tell him. “You will be our watchman for the approach of the Messiah. And when you see him, run back to the village as fast as you can, shouting, ‘The Messiah! The Messiah! 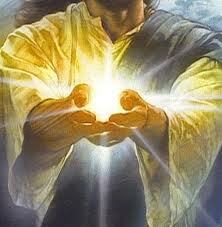 He is coming!’” The man’s face lit up just thinking of the glory of his new position. Every morning he greeted the dawn from the hill and not until sunset every day, did he leave his treasured post. A year went by, and a traveler, approaching the village, noticed the figure sitting on a hill. “Sholem,” called the traveler. “What are you doing here?” “I am waiting for the Messiah!” the man replied. “It’s my job.” The traveler was somewhat amused. “How do you like this job?” he asked, suppressing a smile. “Frankly, it doesn’t pay much,” said the poor man, “but it’s steady work.” [Leo Rosten, The Joys of Yinglish (New York: McGraw Hill Publishing Company, 1992).] That would be steady work if you did not believe that Jesus was the Messiah, twenty-five hundred years of waiting and watching for the coming of the Lord. Margaret was all ready for her date. She was wearing her best outfit, her hair was fixed, her makeup was perfect. Imagine her disappointment when her date didn’t show up! After an hour of waiting, Margaret decided that he wasn’t going to come. She changed into her pajamas, washed off her makeup, gathered up a bunch of junk food, and parked herself in front of the television for the evening. As soon as she got involved in her favorite show, there was a knock on the door. She opened it to find her handsome date standing on the doorstep. He stared at her in shock, then said in disbelief, “I’m two hours late, and you’re still not ready?” (Steve Barry, “Life in these United States,” Reader’s Digest, Oct. 1992, p. 82. Contributed by Dr. John Bardsley.) Of course, our Jewish friends have spent hundreds, even thousands of years waiting to celebrate the coming of the Messiah. In fact, they’re still waiting. Once John Wesley was asked what he would do if he knew this was his last day on earth. He replied, "At 4 o'clock I would have some tea. At 6 I would visit Mrs. Brown in the hospital. Then at 7:30 I would conduct a mid-week prayer service. At 10 I would go to bed and would wake up in glory." When Luther was asked what he would do on the day of Jesus' return, he said he would go out and plant a tree. Our text tells us that Christ expects each of us to be about our work so that when he comes, he will find us in gainful and constructive employment, taking care of the world as his trustees. Some years ago a tourist visited the Castle Villa Asconti on the shores of Lake Como in northern Italy. Only the old gardener opened the gates and the visitor stepped into the garden, which was perfectly kept. The visitor asked when the owner was last there. He was told, "Twelve years ago." Did he ever write? No. Where did he get instructions? From his agent in Milan. Does the master ever come? No. "But, you keep the grounds as though your master were coming back tomorrow." The old gardener quickly replied, "Today, sir, today." A Christian watches and works as though the Master would return this very day. He wants Jesus to find him busy about his tasks: washing dishes, mending shoes, running a lathe, teaching school, planting a rose bush. Jesus will be pleased to see his faithful ones working hard to build a better world, a more Christian society. A young girl was cycling down the road outside the cemetery. As she got nearer, she heard the voices, so she stopped and listened to the voice, "One for you, one for me, one for you, one for me . . . "She shuddered as she imagined some awful truth. She thought to herself, "God and Satan must be dividing the souls at the cemetery." She cycled back to town as fast as she could and found an old man hobbling down the road, leaning heavily on his cane with each step. She said, "You've got to come with me. You won't believe what I heard. God and Satan are down at the cemetery dividing the souls." The old man didn't believe her, "Shoo, you brat, can't you see I'm finding it hard to walk as it is." She kept pleading, and he eventually gave in and hobbled after her back to the cemetery. When they got to the fence, they stood quietly and heard, "One for you, one for me, one for you, one for me . . . " The old man whispered, "Man alive, you've been tellin' me the truth, girl. Let's see if we can get closer and see them." Shivering with fear, they got as close to the wall as they could and peered through the fence. Unfortunately, they still couldn't see a thing. The old man and the young girl clung to the fence as they heard the same words, "One for you, one for me, one for you, one for me . . . " Then, after another minute, they heard, "One for you, one for me, and one last one for you. Okay, that's all. Now," said the voice of the one doing the counting, "let's go get those nuts by the fence, and we'll be done." The boys found a cane lying on the ground near the last few remaining walnuts. And, oh yes, the punch line . . . The old man got back to town five minutes before the girl did. (THEMAZEMAN@aol.com cited on The Jewish Humor List.) Is that what you expect from Christ's return--that you and I had better be on our best behavior because Christ and the Devil are going to divide up souls on the basis of merit, and we don't want to come up short? Then you need to take a second look at the Gospel. Though Russia and the United States agreed in 1974 to limit themselves to 2,500 nuclear missiles and bombers and permitted themselves to build an additional 1,200 missiles with multiple atomic warheads, by 1991 Russia had 10,877 and the U.S. had 11,602 nuclear weapons. Both sides have enough nuclear weapons to blow up the world not once but many times. While hundreds of millions are starving, nations spend annually $220 billion for arms. Leading ecologists warn us that we will suffocate ourselves with pollution. The world seems to be winding itself up. And we seem to know it, too. A cartoon shows a man wearing placards as he walks up and down the crowded streets of a big city. On the sign is the warning: "The end is nigh. Prepare to meet thy doom." The sign carrier says, "The horrible thing is that people don't laugh at me anymore!" In our text Jesus is telling us to get ready for his second coming. The key word of our preparation is "Watch." He concludes his saying on this return with "And what I say unto you I say unto all, Watch." 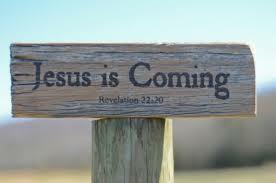 Ready or not, Jesus is coming. She had every reason to be bitter. "Though talented, she went unrecognized for years. Prestigious opera circles closed their ranks when she tried to enter. American critics ignored her compelling voice. She was repeatedly rejected for parts for which she easily qualified. It was only after she went to Europe and won the hearts of tough-to-please European audiences that stateside opinion leaders acknowledged her talent. Not only has her professional life been a battle, her personal life has been marked by challenge. She is the mother of two handicapped children, one of whom is severely retarded. Years ago, in order to escape the pace of New York City, she purchased a home on Martha's Vineyard. It burned to the ground two days before she was to move in. Professional rejection. Personal setbacks. Perfect soil for the seeds of bitterness. A receptive field for the roots of resentment. But in this case, anger found no home. Her friends don't call her bitter; they call her Bubbles. Who is she? Beverly Sills. Internationally acclaimed opera singer. Retired director of the New York Opera. Her phrases are sugared with laughter. Her face is softened with serenity. Upon interviewing her, Mike Wallace of 60 Minutes stated, ‘She is one of the most impressive if not the most impressive, ladies I've ever interviewed.' How can a person handle such professional rejection and personal trauma and still be known as Bubbles? ‘I choose to be cheerful,' she says. ‘Years ago, I knew I had little or no choice about success, circumstances or even happiness; but I knew I could choose to be cheerful.'" (Max Lucado, The Applause from Heaven, Word Publishing, 1990, page 3). Today we open the Advent season that leads to the celebration of the birth of Christ on Christmas Day. We prepare the way for the Lord to enter OUR HEARTS more deeply. This is why we do not lose heart or hope. "God warms my heart when I keep my eyes fixed on him." There's a great story about Saint Francis of Assisi that illustrates this very well. One winter night, there was a raging blizzard, and the man who was supposed to wake up every couple of hours and keep the fire going at the monastery was unable to find Francis. So he went outside into the storm and found him kneeling at the side of a hill wearing his ordinary clothing. His arms were outstretched; he was praying, oblivious to the wind and biting cold snow. A day later, when the man asked Francis how he could stand this, Francis replied, "God warms my heart when I keep my eyes fixed on him." God warms our hearts, too, when we keep our eyes fixed on God. Dr. Norman Vincent Peale was one of the most sought after speakers of the 20th century. Shortly before his death, he spoke for his good friend Robert Schuler in the Crystal Cathedral. Dr. Schuler began his introduction by saying: "I want to introduce you to the most dynamic person you will ever meet in your life. He is exciting, positive and winsome. He can reach down inside of you more deeply than anyone else you have ever known before. He will give you self-confidence and courage, and a whole lot of other things you have always wanted in your life but have not had." Dr. Peale was astounded. He had never been introduced like this before. How could he possibly respond to this introduction? As he was trying to think of some response, he heard Dr. Schuler continue: "The person of whom I am speaking, of course, is Jesus Christ. And here to tell you about Him is my friend, Dr. Norman Vincent Peale." Yes, Jesus Christ came to free us to be all that God wants us to be. From that moment when Jesus Christ was born at Bethlehem, there came power and there came light into our world. There came life, and there came a future. If God can reach down and touch the earth in all its darkness and sin and win the victory, God can bring victory into our situation whatever that situation may be. With preacher Harold Camping's prophecies earlier this year, and the Mayan calendar's prediction about the end of the world next year, doomsday seems a hot topic these days. But today, I received a reassuring press release from NASA's Goddard Space Flight Center, assuring a worried public (were we worried about this?) that a gigantic, killer solar flare won't destroy the Earth in 2012. Whew! "There simply isn't enough energy in the Sun to send a killer fireball 93 million miles to destroy Earth," NASA's Karen C. Fox reports in the release. NASA also notes that the next solar maximum is predicted to occur in late 2013 or early 2014, not 2012. A Protestant Minister and a Catholic Priest enjoyed teasing their Rabbi friend, continually asking him when he was going to convert to their faith. When the Christmas season rolled around, the Rabbi sent them a card with the following note: "Season’s Greetings! Roses are reddish, Violets are bluish; When the Messiah comes, you’ll wish you were Jewish!!" A little boy walked into his Dad’s room just as his Dad finished reading the Bible. The son asked, "What are you reading?’ The Father replied, "I am reading the book of Revelation, the last book of the Holy Bible." The little boy curiously asked, "What’s it about? His dad replied, "It’s about God’s final battle against evil." The little boy excitedly asked, "Who won?" The Father stooped down to his boy’s eye level and said, "God won." It is hard for us to understand Jesus' delay in his coming. God's time clock is certainly out of sync with ours as Little Jimmy learned one day as he was laying on a hill in the middle of a meadow on a warm spring day. Puffy white clouds rolled by and he pondered their shape. Soon, he began to think about God. "God? Are you really there?" Jimmy said out loud. To his astonishment a voice came from the clouds. "Yes, Jimmy? What can I do for you?" Seizing the opportunity, Jimmy asked, "God? What is a million years like to you?" Knowing that Jimmy could not understand the concept of infinity, God responded in a manner to which Jimmy could relate. "A million years to me, Jimmy, is like a minute." "Oh," said Jimmy. "Well, then, what's a million dollars like to you?" "A million dollars to me, Jimmy, is like a penny." "Wow!" remarked Jimmy, getting an idea. "You're so generous... can I have one of your pennies?" God replied, "Sure thing, Jimmy! Just a minute." 1. God Identifies with the Human Situation. 2. Advent Is Time to Get Ready for the Return of Christ. This Sunday marks a new "season" in the church calendar. After a series of twenty-four Sundays defined simply as "After Pentecost," the church community around the world is now called to focus on a new turn in our journey. Advent is a season of anticipation and preparation for the "coming" (adventus) of Jesus. But mostly during Advent we do strange and ridiculous things. We put up a tree in our living room. Not too long ago our ancestors even used to light the tree with burning candles, which burned many houses down. We decorate the whole house as though it was one huge present. We blow our electric bill through the roof with outdoor lighting. We start buying stuff and wrapping stuff and baking stuff and preparing stuff. All to what end? So that when Jesus finally arrives our Christmas celebration will be special and memorable. 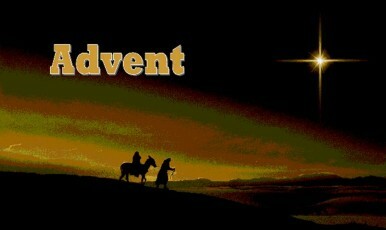 Advent is the church's annual adventure in being astounded by something new, not in Macy's but in a manger. Funny things are everywhere! And there are two things funny about this First Sunday of Advent, the start of a new church year. The first of them is that, here at the start of a new year, we don't look back to the beginning, but we look forward to the end. Here on the first day of the new church year, we do not focus on the past, but we anticipate the future where Christ promises to meet us. The second funny thing about today is related to the first. When we look forward to the end, when we anticipate the future, we do not treat this conclusion as some distant, far-off event. It is near at hand. It may be as close as the next second. So imminent is it, in fact, that the future comes and takes up residence in the present. The Christ who will arrive with power and great glory at the end of time comes to us also before the end of time. The British writer Arnold Lunn tells about one time he was on a boat trip when a certain lady was plaguing him with theological questions. He answered her with quotes from the Bible and from the teaching of the Church but the woman would not accept what he said. Then he interrupted her to say, "you must be a very inexperienced boat traveler. As you got on the boat I noticed that you put your left foot on board first. Everyone knows that you will have bad luck if you step on a boat with your left foot first!" The next time she came on board he noticed that she nearly tripped into the water in her effort to step aboard right foot first. Lunn thought it remarkable that she would believe the infallible Lunn in something that he had just made up, and that she would not accept the authority of the Church or the words of Scripture. So, too, we tend to complicate our lives and our prayer by looking for the extraordinary, when the Lord is to be found most often in the simple and in the ordinary. Father Gerry Pierse, The End of the World....Again? In Frankfort, Kentucky, it is said that the city was enthralled in a big debate many years ago about placing a water fountain in a public square. The argument became heated in the legislature and at the governor's mansion. Finally, a decision was made to ask three contractors to bid on the project. The first contractor was from Western Kentucky. When asked what his bid was he replied, "$3,000." Then he was asked to break it down, to which he replied, "$1,000 for labor, $1,000 for materials, and $1,000 for me." The next contractor was from Eastern Kentucky. When asked to give his bid and to break it down he said, "$6,000. $2,000 for labor, $2,000 for materials, and $2,000 for me." The last contractor was an established contractor from Frankfort who usually got all of the bids for the capital. When asked to give his bid, he replied, "$9,000." Then they asked him to break it down. He closed the doors, looked around cautiously, and then said, "$3,000 for YOU, $3,000 for me, and we give the bid to the guy from Western Kentucky!" Now, they had bigger problems in Frankfort than deciding on a water fountain. But so often we can get sidetracked by things that seem important. Much like the disciples being more concerned with the temple being destroyed and the world coming to an end than they were with the things that matter most in life: character, integrity, compassion, and preparedness for Christ's return. This is what Jesus means when he tells his Disciples to watch! The Christian lives in the Hope. We look to tomorrow with confidence, even absurd confidence. As the White Queen told Alice, "Why, sometimes I've believed as many as six impossible things before breakfast." There is an exuberance in the Christian Life, an exaltation which passes logic. Why? I believe in God, who is for me spirit, love, the principle of all things. I believe that God is in me, as I am in Him. I believe that the true welfare of man consists in fulfilling the will of God. I believe that from the fulfillment of the will of God there can follow nothing but that which is good for me and for all men. I believe that the will of God is that every man should love his fellow men, and should act toward others as he desires that they should act toward him. I believe that the reason of life is for each of us simply to grow in love. To replace a social life in which division, falsehood and violence are all-powerful, with a new order in which humanity, truth and brotherhood will reign. One of my dearest friends applied for a position that required him to instruct and inspire younger people. His interviewer and evaluator asked him, "Tell me about your walk with Jesus." My friend replied, "You know, everywhere I go, no matter where or when, I find that Jesus has arrived there first. Wherever I go, Jesus is already there." The evaluator made no reply; he had no idea what to say, and my friend was never offered the job. Was his response too theologically subtle? Jesus is not the Lord whom we discover or define or claim. Jesus comes to us. We do not summon Him by any action of our own. Jesus is God's gift. While we were yet sinners, he was born, died, and raised again for us that we might inherit new life. Advent announces that Jesus is coming and not through any action of our own. We do not deserve it. Advent happens. Advent means that Jesus comes again and for all time, at Christmas, this Christmas. John Phillips, in his book Exploring Revelation, tells about the return of Richard I, the Lionhearted, to England. It was during the time of the crusades. While Richard was away doing battle in the Mideast, his kingdom fell on bad times. His brother, Prince John, justly vilified in the tales of Robin Hood, usurped the kingdom and misruled the realm. The people of England suffered under John's rule and longed for the return of their rightful king. They prayed that it might be soon. Then one day Richard returned. He landed in England and marched straight for his throne. John's castles tumbled before Richard like ninepins. Richard the Lionhearted laid claim to his throne, and none dared stand in his path. The people shouted their delight. They rang peal after peal on the bells. The Lion was back! Long live the king! John Phillips adds these hopeful words: "One day a King greater than Richard will lay claim to a realm greater than England. Those who have abused the earth in His absence, seized His domains, and mismanaged His world will all be swept aside." That day's coming, friends, and it will be a grand and glorious day. Get ready. No one knows when it will be. But get ready. No one knows what shape it will take, but we know this: God's in charge and God can be trusted. What I say to you, I say to everyone: 'Watch!'" While on a South Pole expedition, British explorer Sir Ernest Shackleton left a few men on Elephant Island, promising that he would return. Later, when he tried to go back, huge icebergs blocked the way. But suddenly, as if by a miracle, an avenue opened in the ice and Shackleton was able to get through. His men, ready and waiting, quickly scrambled aboard. No sooner had the ship cleared the island than the ice crashed together behind them. Contemplating their narrow escape, the explorer said to his men, "It was fortunate you were all packed and ready to go!" They replied, "We never gave up hope. Whenever the sea was clear of ice, we rolled up our sleeping bags and reminded each other, 'He may come today.'" Sue Monk Kidd tells about when her daughter was small and got the dubious part of the Bethlehem star in a Christmas play. After her first rehearsal, she burst through the door with her costume, a five-pointed star lined in shiny gold tinsel designed to drape over her like a sandwich board. "What exactly will you be doing in the play?" her mother asked her.